Dress up like characters from Oxford Children’s Books with these free World Book Day guides! Take a look at the guides below! World Book Day is coming up and you know what that means… dressing up as your favourite character! 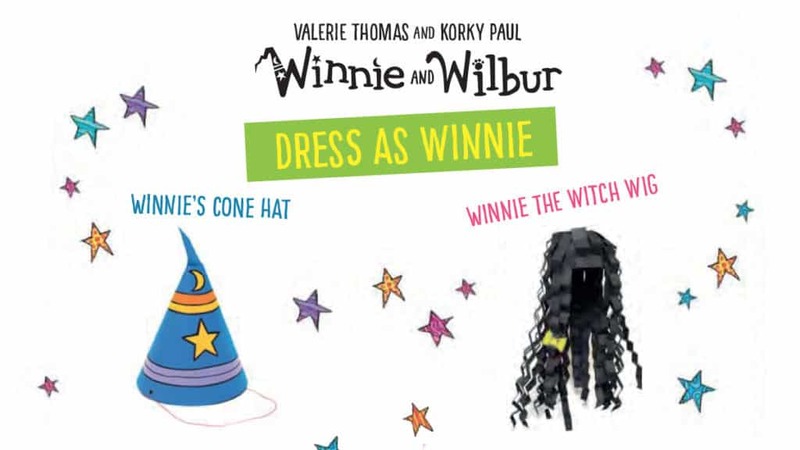 The clever people at Oxford University Press have put together a really cool dress-up guide for Winnie the Witch fans! You can make a Winnie the Witch wig and even her hat. Plus Wilbur the cat is getting involved – just download the template to find out more! Black card (long enough to fit around your head! Remember to always ask a grown-up before using sharp things like scissors and get their help when making things! 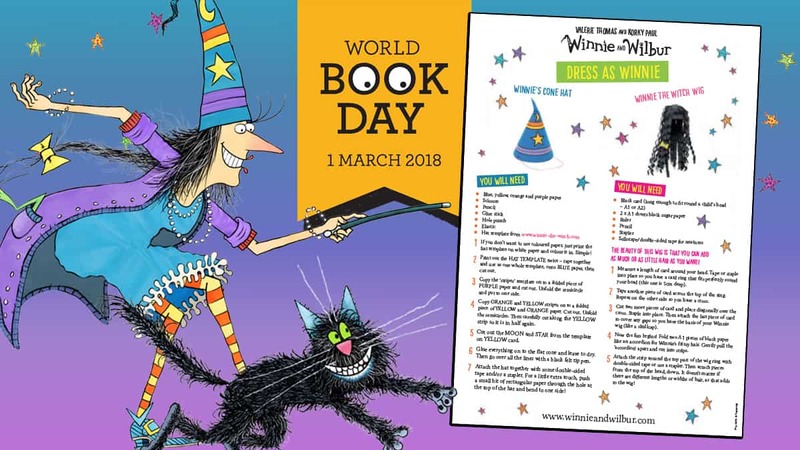 Remember, World Book Day is on March 1st 2018!